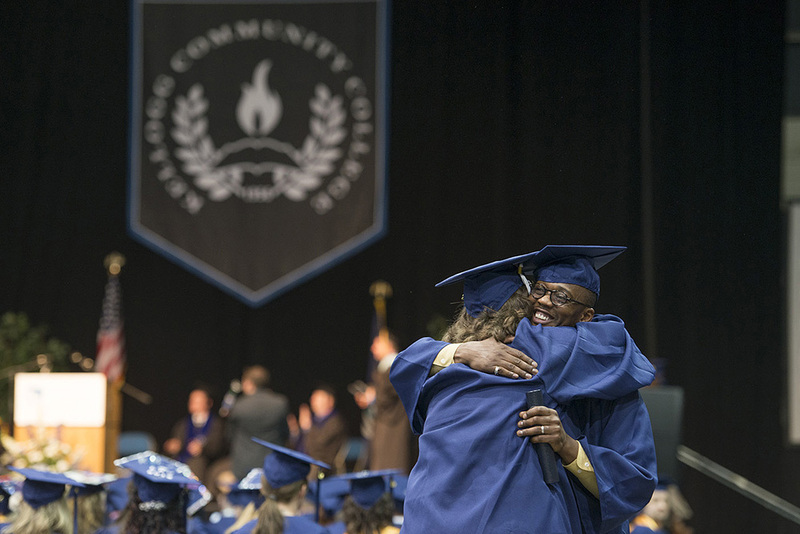 More than 300 graduates crossed the stage during Kellogg Community College’s commencement ceremony May 15 at Kellogg Arena, the proud recipients of a whopping 371 degrees and 54 certificates. Click through the links below to view photo galleries from commencement-related events and activities on KCC’s Facebook page. More commencement-related images and messages of support can be found on Twitter by search for the hashtag #blazeyourtrail. For information about how to receive your official commencement photos taken onstage and immediately offstage during commencement, click here.